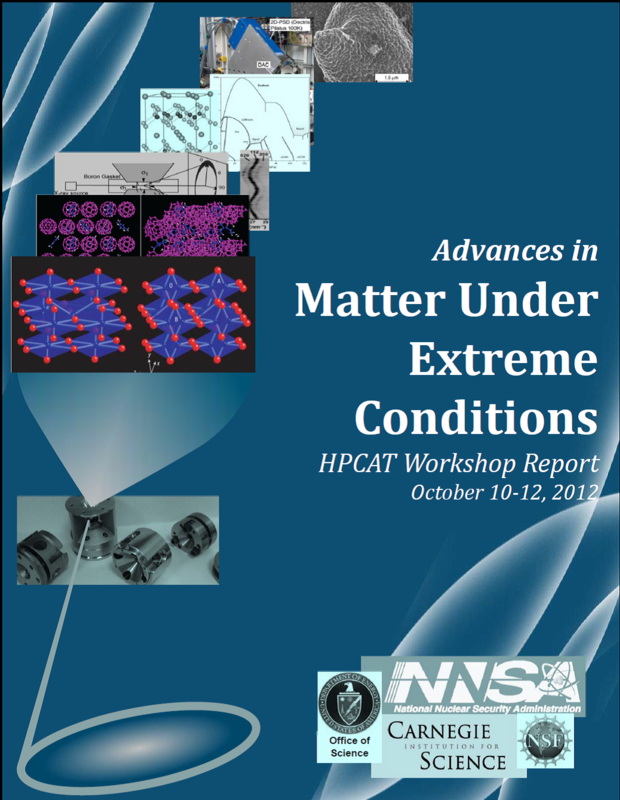 This report documents the proceedings of the workshop, "Advances in Matter Under Extreme Conditions", held at the APS in October 2012. A retrospective of the successes of HPCAT over the past 10 years, as well as opportunities for addressing key grand challenges in future of extreme conditions science were discussed by over 120 people from the US and abroad. Emerging from the workshop and its discussions is a clear signal of the outstanding opportunities for the future of extreme conditions science at the APS in the years to come.